The Victorian Health Promotion Foundation (VicHealth) is a pioneer in health promotion. Its primary focus is promoting good health and preventing chronic disease. VicHealth creates and funds world-class interventions. It also conducts vital research to advance Victoria’s population health. VicHealth supports public campaigns to promote a healthier Victoria and provides transformational expertise and insights to government. 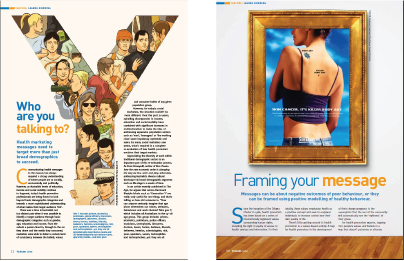 The creation of two feature articles on message framing and health communication for Vichealth’s feature Magazine. 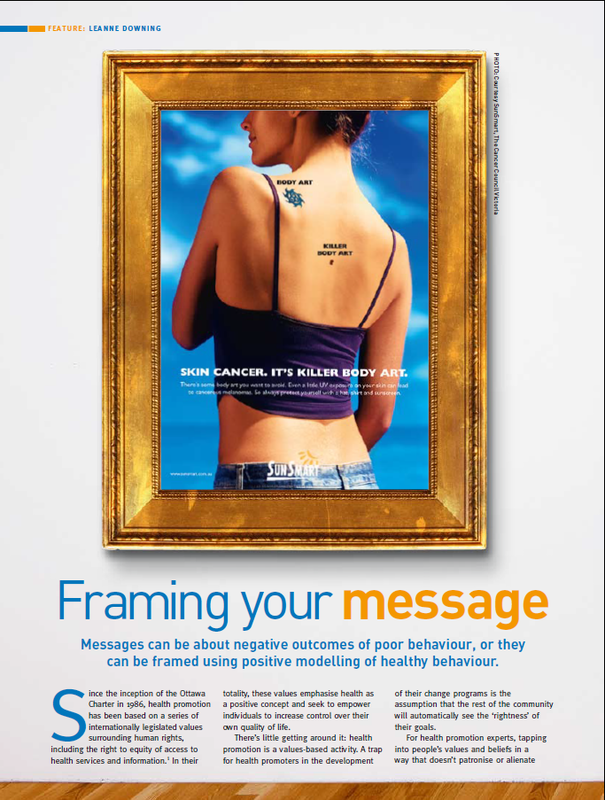 〉 Demonstrate an understanding of public health messaging and how it works in the media. 〉 Clear communication of how to use public health messages for people working in the field.